1. Which of the following, according of genetics in becoming an exact science? 2. Which of the following is the same in meaning as the word ‘squarely’ as used in the passage? 3. Which of the following is not true, according to the passage? 4. According to the author, the present state of knowledge about heredity has made geneticists. 5. What is the tone of the author in the last sentence of the passage? 6. Which of the following is not true of the genetic engineering movement? 7. Which of the following is the same in meaning as the word ‘feat’ as used in the passage? 8. Why, according to the author, is genetic misinformation severely damaging. 10. At present genetic engineering can rectify all genetic disorder, is it? 11. Which of the following is the same in meaning as the phrase ‘holding out’ as used in the passage? 13. Which of the following is true regarding the reasons for progress in genetic engineering? 14. Which of the following is the same in meaning as the word ‘obliterate’ as used in the passage? 15. Which of the following is the opposite in meaning to the word ‘charge’ as used in the passage? Directions: Read each sentence to find out if there is any error in it. The error, if any, will be in one part of the sentence. The number of that part is the answer. 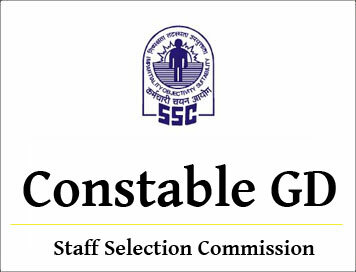 SSC Constable GD Model Exam Paper - 1 "General English"